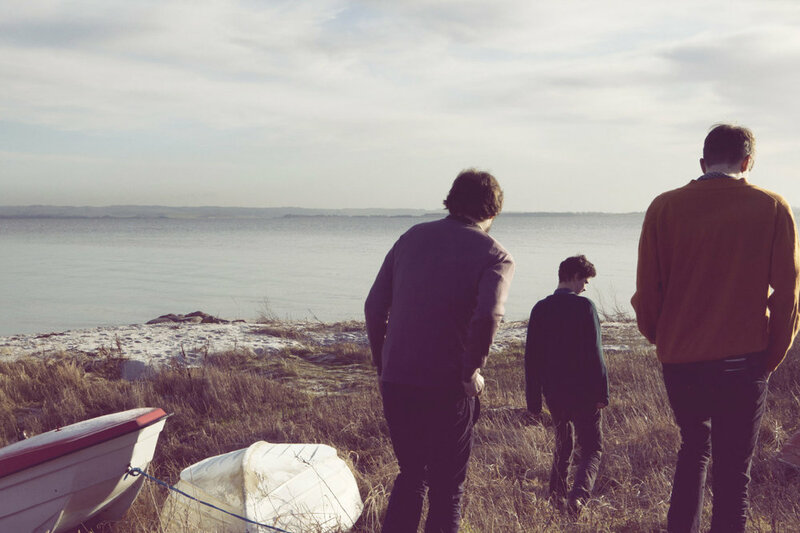 It was early 2010 when Efterklang, a Danish experimental indie rock band consisting of childhood friends Mads Brauer, Casper Clausen, and Rasmus Stolberg, received an email from a Swedish film director containing photos of a town located on the Norwegian island of Spitsbergen. Situated in the Svalbard archipelago, 1,300 kilometers beneath the North Pole, and in a space where the Norwegian Sea, Greenland Sea, and the Arctic Ocean converge, the island has several claims to fame. It has the northernmost airport with public scheduled flights; it is home to a global seed vault; it uses no transportation around the island other than planes, snowmobiles and boats; there are six national parks which overlap it; and it is home to the world’s northernmost grand piano. But the subject of the email wasn’t any of these things. Instead, it was about Piramida­ – a former coal mining settlement, abandoned in 1998 by its Russian owners and left to become a ghost town. Having just released its third full-length, “Magic Chairs,” the band didn’t immediately do anything with the knowledge of Piramida. Instead, the idea lay dormant in the minds of the members until it came time to write a new album. Only then did it begin to lay the groundwork for what would be the trio’s first album since arriving in Berlin two years ago. Vocalist Clausen sat down on the day of the album’s release party to discuss the album, which came out this week, and how it’s influenced by both Piramida and Berlin. What was the inspiration behind using Piramida as the starting point for your album? We saw these pictures and were just sort of, intrigued. The light up there is very special, so you had this amazing nature sight of a big glacier and two huge mountains, and then this small settlement in the middle, like a ghost town, where people left 13 years ago. So this whole idea of this place was just so intriguing: the children’s swings and, it was like, there was something really, really unique about it and those pictures kept haunting us for a while afterward. In the beginning of 2011, we started thinking of what kind of album we’d like to do next, and usually when we do a new album, we sit around a table and say, “Any ideas?” And the first thing that usually tricks us when we want to do an album is to find something that really fascinates us, something we’re really excited about doing. Usually it’s quite practical. In this case, we figured out that we really wanted to do an album that was based around a specific location, so we would start at that location, and from there take out inspiration in sounds and so on. And then came to mind these pictures we saw, from Piramida. We didn’t write any songs before going there. We just went there with a blank sheet of paper. What was the town like when you arrived? Was it in a condition you expected it to be in? Was it anything you had imagined? The place looks empty, as a ghost town is, I guess. And it’s very silent. There’s a few workers from the Russian coal mine company that still owns the place, but it’s really sparse and just really­…I don’t know exactly what the feeling is…it’s really empty space. And it’s really even more empty because you see it’s not just nature. It’s a town, full of empty houses. You can’t help feeling like a child. It was like being a kid, a lot of the time, [we were] just walking into the houses, like “Oh it’s too big. Try and go in that door, and go down in the basement there.” I mean, that was a lot of fun, just having a whole town [to yourself]. There was one place that the Russians chose to close up for some reason we don’t know. But besides that, everything was kind of open. Piramida is home to the northernmost grand piano in the world, a Russian Red October. What was your experience with the piano, which features on your album? It was in a concert hall. The concert hall in this town is a little special, because the Russians considered it a prestige project. So even though the settlement had around 1,000 inhabitants, the town had quite a lot of features: a swimming pool, a hospital, and they also had their “culture palace.” And inside the culture palace was this 400-seat theater. And on the stage, was standing this grand piano. It was very out of tune, as we knew it would be, but we managed to use it. It had like one chord that was kind of clean. So we used that one in a few sketches and songs. So when you come to a place like this, and you have nine days, and you have no ideas of what your songs are going to be like, or no structure, how do you go about collecting these sounds? We recorded way too much. We came back with around 1,000 sounds. We just went with our ears, I think. But all the time, when we were going somewhere and recording something, I think we knew exactly when something was especially special. The opening song, “Hollow Mountain,” has this start, this kind of metallic spike sound, and that was this great tank we found out there, full of these spikes. There had been some insulation around it but that fell off and the spikes were sitting there, and if you hit those spikes, they individually have different notes. A very kind of kalimba-ish sound like some, I don’t know, like Arctic-African, or something like that. How did you go about working your way through all the recorded sounds and begin to assemble songs? When we came back, instead of going through all the sounds, because there was way too much, Mads started sort of instead going through the sounds with his memories. If he found a recording or something from up there that he remembered, then he would start making small sketches. Could be that they were just single sounds and he would put them together in beats, or maybe a small melody, or something like that. And then these small sketches, he would send out to Rasmus and I, and then we would listen to them and I would just try and sing or play something on the guitar, and try and make some kind of structure of the songs, and then send that back. And was this a process that you immediately set out to do once you returned home, or did you need time for those ideas to germinate and take root before you could start work on the new album? It took awhile, two months I think, when Mads was just going through the archives and making small sketches. After two months, we got this invitation from Sydney Opera House to perform with their orchestra. And it was a little bit of a dilemma because we had this idea of an open deadline, so we wanted to take our time. And they were surprisingly happy with that idea. And so suddenly it turned into a deadline project. We had to sort of finish the songs in January so we could invite musicians to play, and record, and mix, and so on, and at the same time, do the orchestral scores. What did the creation of these orchestral scores entail? Did you write them yourselves, work with other individuals, or just send out the music with blind faith? We worked with one guy we worked with before, an arranger from Denmark, Karsten Fundal, so we knew what he was about. And then we worked with a New York girl, Missy Mazzoli. So they both kind of split songs between them. And then we invited them to the studio and played sketches for them before the songs were really finished, so they got into the ‘universe’ of [the record]. And then around February, we had all the songs ready. We knew the structure. We sent it to them, and then they started working while we were continuing with the album, because we wanted to make it a parallel kind of process. We wanted the album to be quite condensed – that was the whole idea. Focus on the sounds and atmosphere of Piramida, not use too much, you know, strings and brass, and we tried to cut that down a little bit. And then, on the other hand, on the other project, we could open up that whole thing. So that was kind of a nice way of working. I really like that the album has a lot of space. Once you start playing the songs as a band it’s really spacious music. While, with the orchestra, obviously a lot of the space is kind of filled up. But what was really intriguing about this was that usually when we work, we kind of make all the orchestral parts for the album so have already kind of thought about that aspect. But for this album, we left a lot of space for the arrangers to come up with ideas, so it was just such a nice feeling to get these arrangements back where someone had actually created something you didn’t come up with. I think that was very inspiring for us, something that we really learned a lot from, this idea of leaving space. We’re kind of control freaks in many ways, so this is something that is hard for us sometimes to do, but I think we just grow a little older and it comes naturally. Although this album started in Piramida, ultimately it is an album about Berlin. This journey of the music mirrors Efterklang’s own journey in a sense, as you are from Copenhagen but now call Berlin home. What is the band’s relationship with Berlin as a city and a music scene? There [are] a lot of things to say about Berlin. I kind of feel everyday I’m seeing a lot of awful stuff, you know? There’s a lot of really bad stuff to say about Berlin. But at the same time, you see or experience as many great moments, and surprising kinds of people just kind of come your way. There [are] just a lot of people here that are creating and doing things; there’s a nice flow within people. It’s like ideas flow a little easier. I’m really turned onto the idea of inviting more people and also letting them sculpt the sounds and sculpt our ideas. We always found that we get lifted much higher when we invite people in and when we collaborate with people. 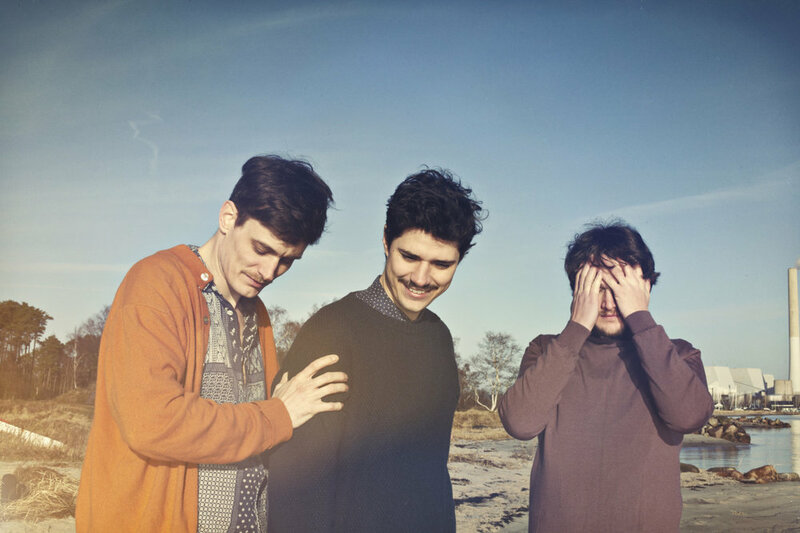 Things start happening, and that’s quite crucial for Efterklang. We’ve been together for 10 years, and I think it’s a lot of what keeps us going.